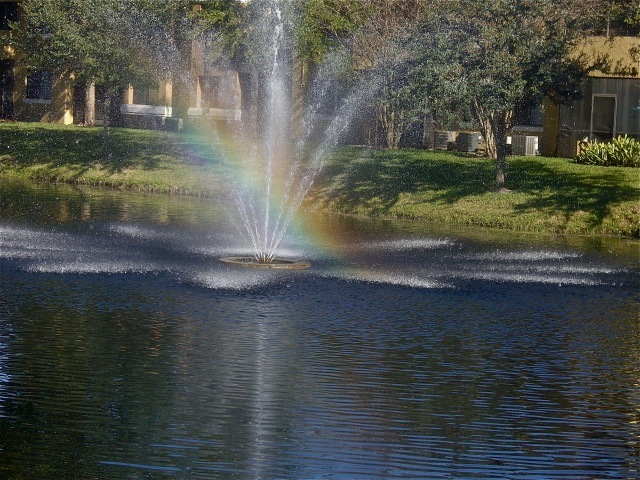 We came home to find the end of a rainbow touching down in the lake outside our patio. However since you never know what you might find in lakes and canals around here I did not go looking for the pot of gold that should be there. The beauty of the rainbow seemed priceless. 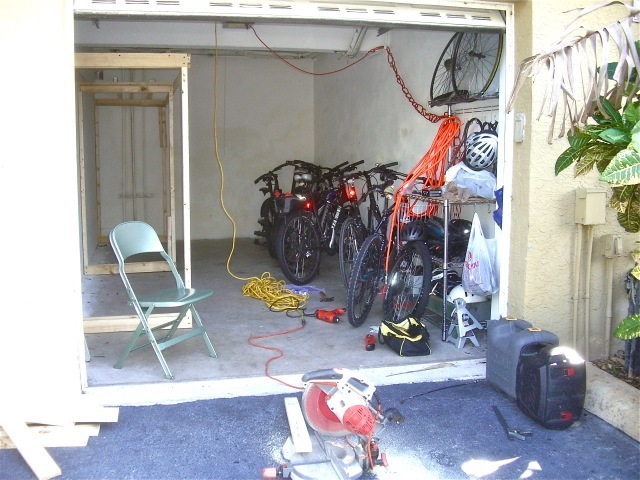 This entry was posted in Fort Lauderdale Mission on December 30, 2011 by Bill. I had a different experience this morning. 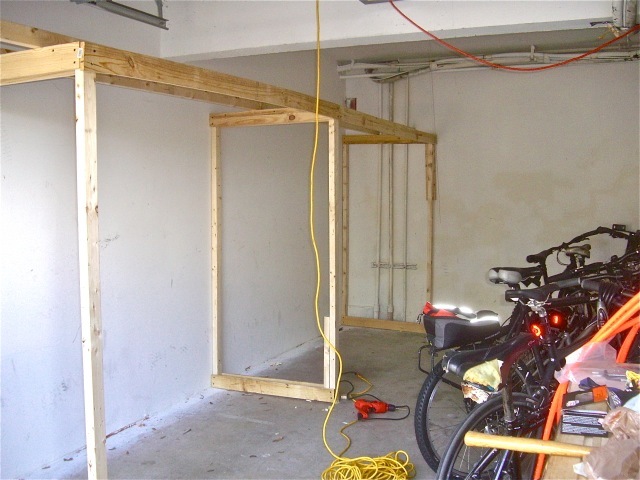 I was asked by Elder Sommerfeldt to help him build a bike rack in one of the garages that we get because there are missionaries living in the complex. So from 9:00 to 12:00 we worked on building a rack to hold the extra bicycles and parts that have accumulated over the years. The parts will be used to repair bikes and the good bikes will be sold or in some cases of need given to the missionaries when they come in. 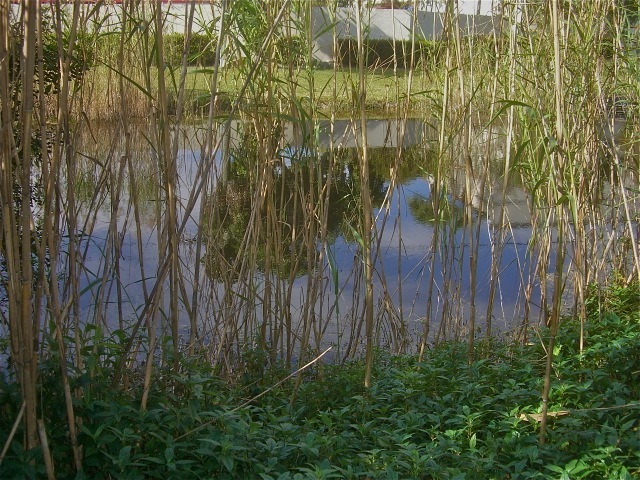 Just across the parking lot from the garage in one of the many, many canals that run through the area and they almost always have alligators living in them. Can you find the one in this picture? We had the opportunity today of delivering a almost new Ford Fusion to Sisters Bloomfield and Escorbores to replace their much olderToyota Corolla . From their enthusiasm you would think we had delivered a huge Christmas present instead of a car. 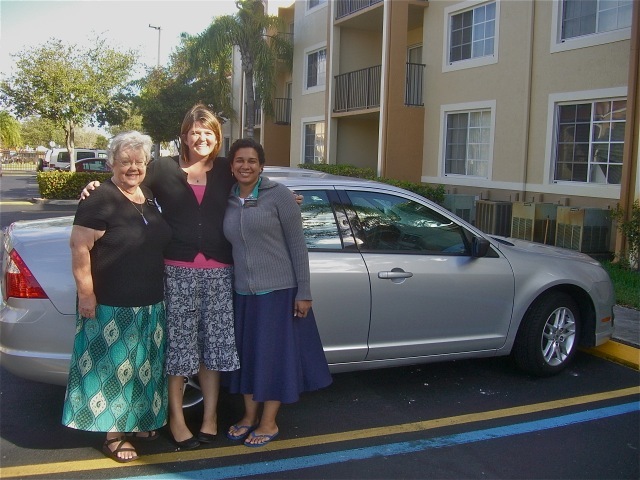 The picture on the left are the sisters and Mary with their new car…but then they wanted one with their old faithful Toyota. I asked the sisters for their e-mail addresses so I could send them the photos. At first Sister Escorbores – she is from the Dominican Republic and has only been a member about 18 months – said to just send it to Sister Bloomfield and she would get it from her. But after we talked for a while she said we were cool and that she wanted to give us her address as well. 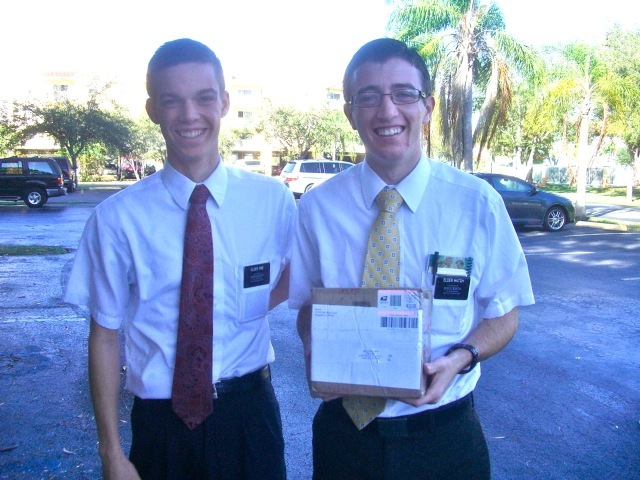 It is nice to be thought as cool by the missionaries. 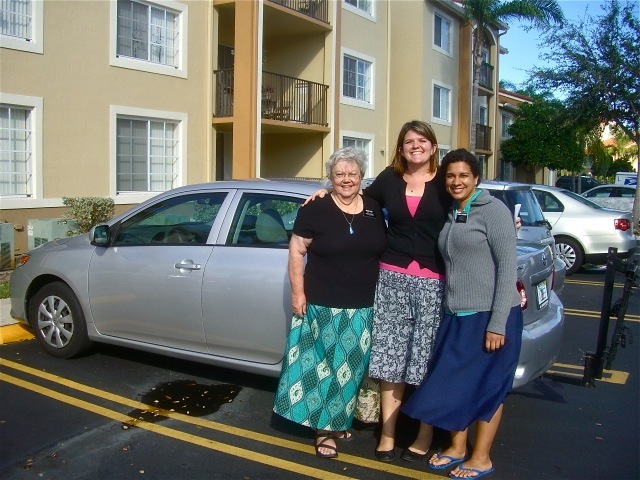 After we got back from Miami…about an hour drive each way…we were asked to go to West Palm Beach and pick up some paper work from Elders Osborn and Palacios. We had been to their boarding about a month ago to exchange cars…theirs had been sideswiped and needed repairing…and I had taken a picture of them in their P-day clothes as they were about to go into the gym. 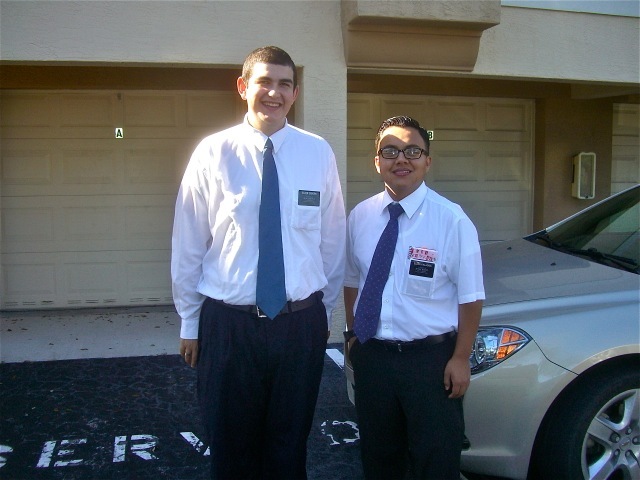 So today I wanted to take a picture of them as missionaries. They clean up well I think. 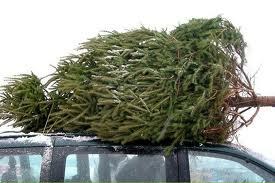 On the way back from West Palm Beach a SUV passed us that had a Christmas tree tied to their roof. At first it took me a couple of seconds to realize this was a once living tree and then I wondered what in the world they were going to do with it. I decided that they had been after Christmas shopping and they found a real bargain. They were going really fast so I guess they needed to get it into water before it dried out. I should know not to be surprised with anything I see on the road in Florida. 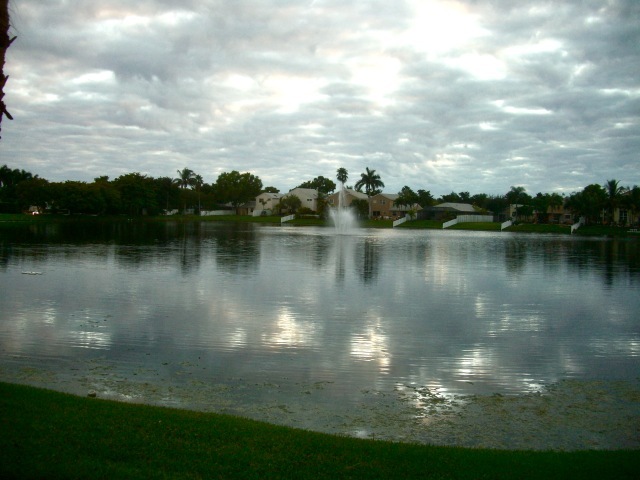 This entry was posted in Fort Lauderdale Mission on December 28, 2011 by Bill. At district meeting this morning Elder George, the district leader, asked me to lead the music. Since I have never led music in my life I told him he was crazy but tried anyways. The first song was in 4/4 and I did pretty good there, but the closing song was in 3/4 and I found myself off beat way too often. However I am thankful that Elder George asked because it reminds me that these young elders and sisters have the authority to act in God’s name as missionaries. The Zone Leaders, Elder Beard and Elder Clark, demoed the use of a calendar to help investigators prepare for baptism. We then were asked to be the investigators for Sisters Hong and Holder to practice. They did a great job and even overcame a small objection that I threw in. After their turn they invited us to try. I did not feel that we were ready to do this but they persuaded us to try. Once we got started I felt the spirit helping us and I think we did pretty good. 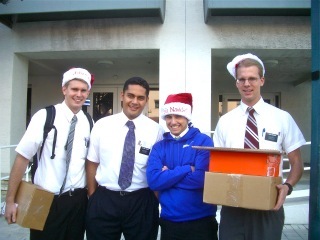 Of course the missionaries said we did but I think they were being kind. I did forget to give the calendar to the ‘investigator’ but otherwise it felt good. I can see how using the calendar will help the investigator be prepared for a set baptism date. Christmas may be over but Christmas mail is not…we received 20 or more packages and about 100 pieces of mail. When I loaded up the van to take all of this and the left over baskets back to the post office, the van looked like a US mail truck. 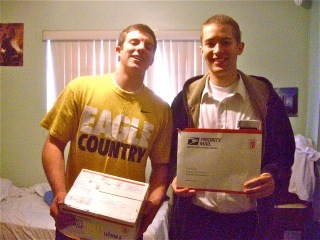 It is great that the missionaries get so much mail but it will be nice when it gets back to normal. Sisters Holder, Hong, Pier…Elders George, Smoot (closest to camera)…we had a very enjoyable lunch with these four great missionaries and learned a lot about them and some of the experiences they have had on their missions. Although we were all enjoying lunch and laughing, we all realized that we were missionaries and that we about the Lord’s work. While on the subject of missionary work, the weekly letter from President Anderson gave some examples of missionaries who listened to training, felt the spirit and then went out and worked. As I read the stories that the president shares, I realize how much we need to rely on the spirit to guide us to those who He has prepared to accept the gospel and then let the spirit change their lives. 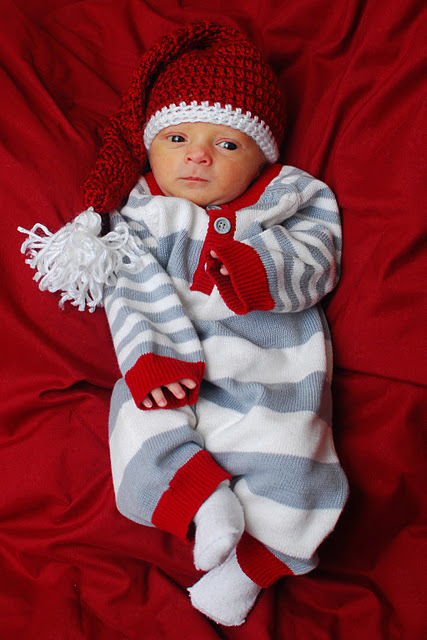 This entry was posted in Fort Lauderdale Mission on December 26, 2011 by Bill. I was reading in Alma 12:8 this morning “And Zeezrom began to inquire of them diligently, that he might know more concerning the Kingdom of God.” I thought that this is what the missionaries to see in their investigators – a sincere desire to know about the Kingdom. 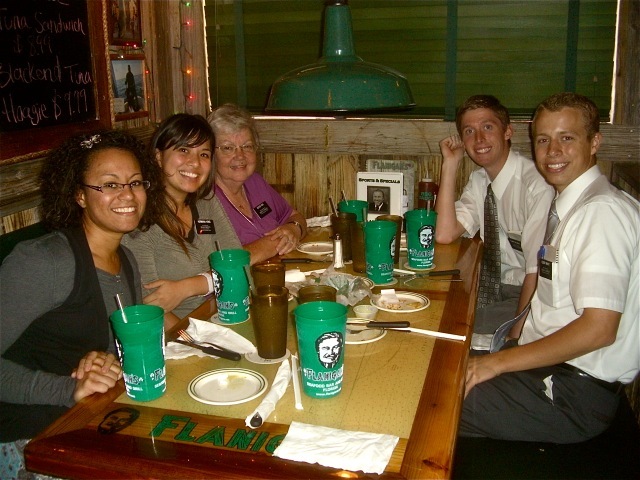 We got a call from Elder George the District Leader and he invited us to go to lunch with the district this afternoon. 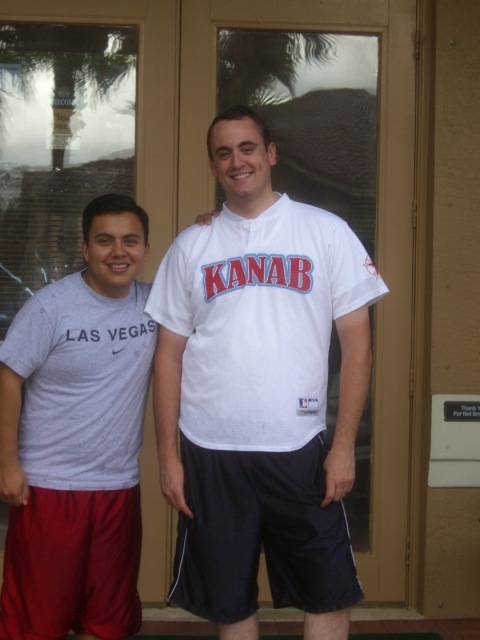 We love to interface with the missionaries and it is good that they feel we are a part of their zone. After eating way too much Christmas candy and other goodies I decided I would take a nice stroll around the block and take pictures of some of the water features we drive by each day. I soon found out that the block we live on is not square nor rectangular and I had to find a way to get home without walking 3 or 4 miles. This was solved when I realized if I walked along a canal I would come out on a road that ran by our apartment complex so I got to see parts of the neighborhood that I did not expect to see and enjoy the end of a wonderful Christmas day while looking at lots of water features…here are a few. 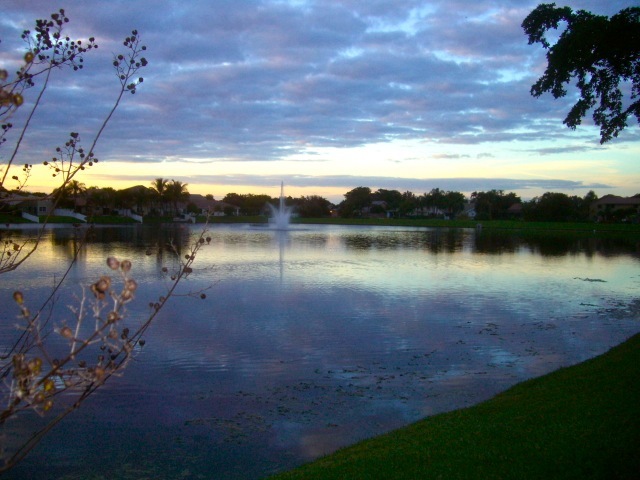 I love the way the clouds reflecting the setting sun are reproduced on the surfaces of the water. 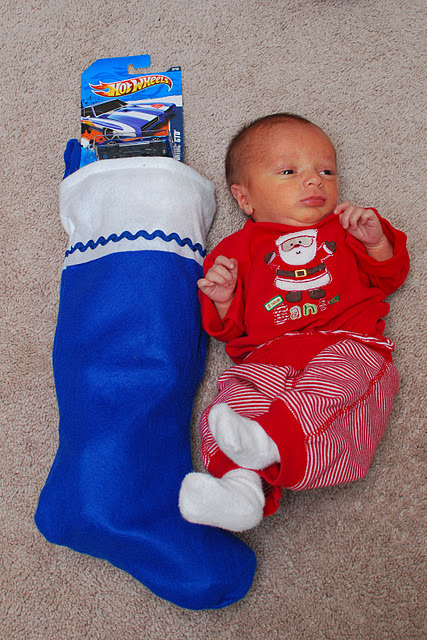 11 days old and he has his first Christmas…he looks like he would have fit in his stocking! What a good looking family. We had a chance to talk to them and the rest of our children and most of our grandchildren via FaceTime or via phone. 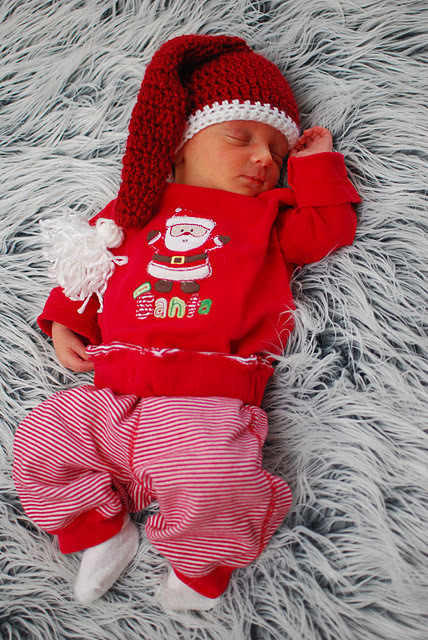 It made Christmas away from home much easier to experience. We miss them all but we know that we are doing what the Lord wants us to do at this time. 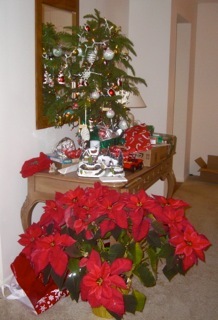 This entry was posted in Fort Lauderdale Mission on December 25, 2011 by Bill. 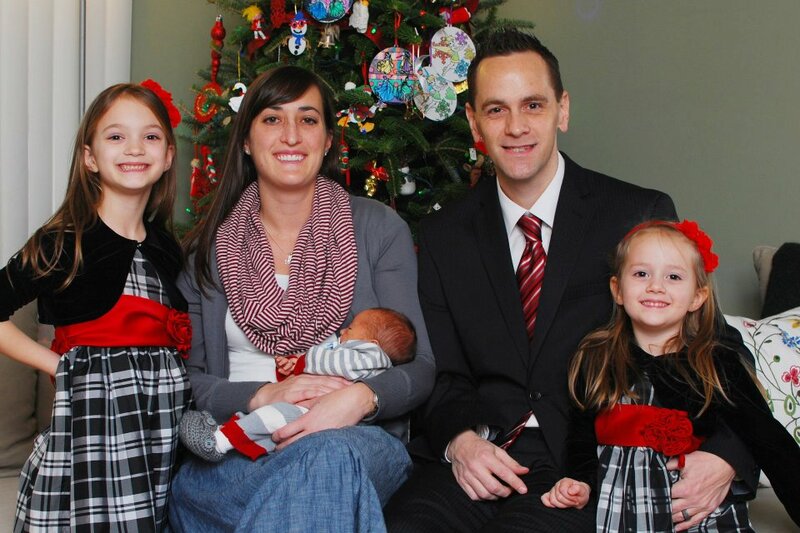 The perfect Missionary Christmas…and we get to go to Church and take the sacrament to remind us of the Christ’s atonement for us. 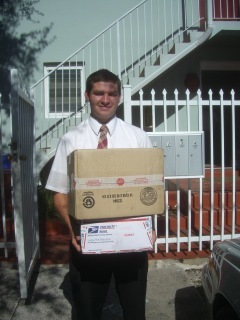 Yesterday – the 23rd – 27 Christmas packages for missionaries came in to the office. The office couples decided that for part of our P-day we would play Santa’s Helpers and deliver them to the missionaries so they would have them on Christmas morning. We took the Southern route with Hialeah, Homestead, Miami and Miami Beach zones because we had never been that far South before. Although even with a GPS we managed to get lost a couple of times and found out that you do not want to get in the express lanes on the freeway unless you want to go 5 or 6 miles out of your way, we had a wonderful time delivery our packages to the grateful missionaries along the way. Truly one of the joys of serving a Senior mission. 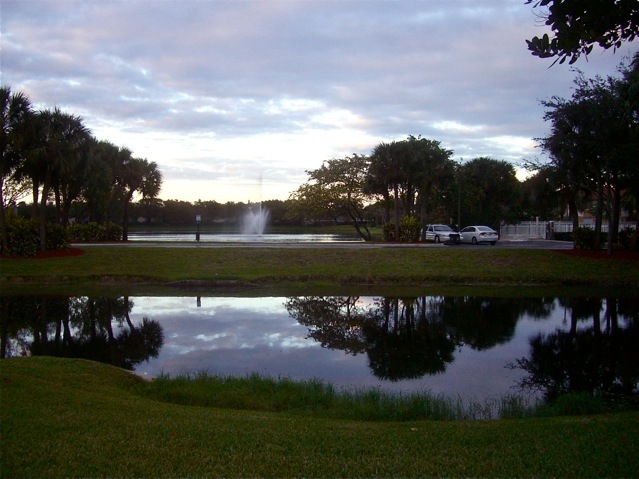 This entry was posted in Fort Lauderdale Mission on December 24, 2011 by Bill.